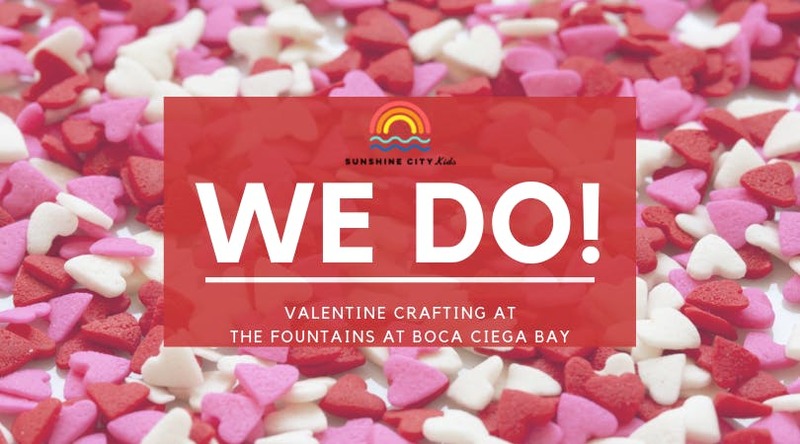 Love is in the air at The Fountains at Boca Ciega Bay! Join Sunshine City Kids for a morning of Valentine's Day crafting on Monday, February 11th at 11am. We'll work together with the senior residents to make some beautiful centerpieces for the Vow Renewal Ceremony at The Fountains where 10 couples will renew their vows on Valentine's Day. There will also be a table for kids to make, take and share their own valentines. Space is limited so don't forget to register in advance (kids only, parents do not need to register)! Kids of all ages welcome.